iambic is an electronic music act based in London, UK which was created by Guy Andrews in 2004. The music is based around the ambient genre but fuses elements of many other styles together including Jazz, Soundscape, IDM, Post-Rock and Break Beat to create a new and evocative sound. 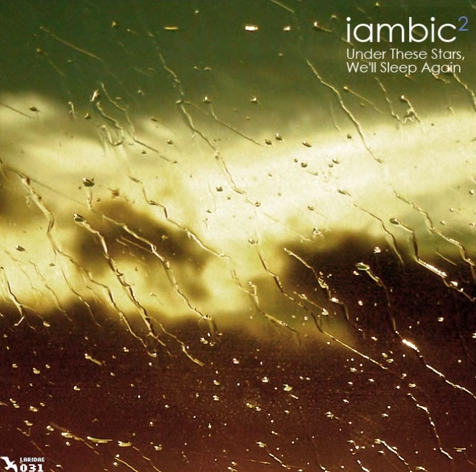 Since the release of the first iambic LP ‘Under These Stars, We’ll Sleep Again’ on the Austrian based electronica label ‘Laridae Records’ at the start of 2007 , iambic’s fan base has steadily risen both in the UK and abroad. Due to this, Guy was asked to create a live act for his music and has now played live gigs both in the UK and abroad. I love the acoustic instruments mixed with the downtempo electronic beat, making it more emotionally evocative. Emotions are a language of their own, our heart center being the mouthpiece of this language, and nothing puts the heart into eloquence than music — hopefully, stuff of the uplifting kind.